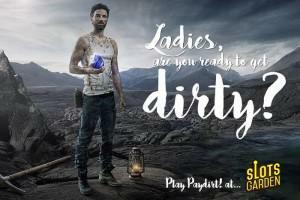 Ok, girls are you ready to get down & dirty…I mean really FILTHY? As in filthy stinkin’ rich? Then take Paydirt! for a spin and remember, the deeper you dig, the bigger the reward! Play today to win!